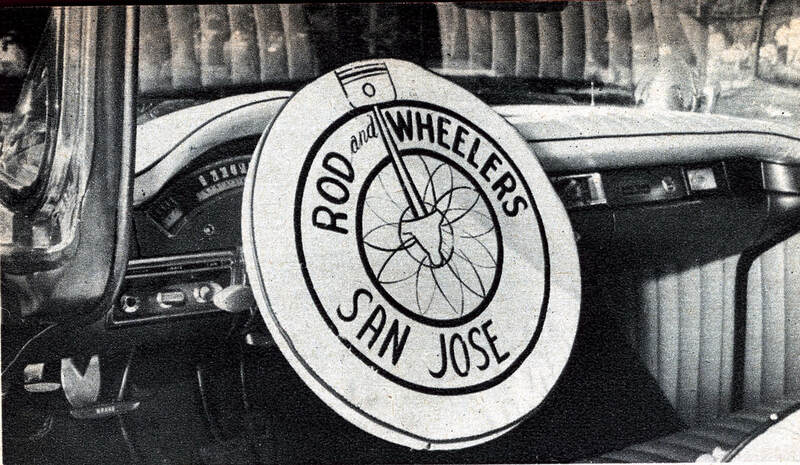 ​The Rod and Wheelers hot rod club is one of the oldest active car clubs in California. The club was founded in the Willow Glen area of San Jose, California in 1952. The club was recognized by Car Craft Magazine in 1960 and was voted best hot rod club. This long term heritage is alive today. Many of the early members are still active in the club. The mission of the club is to promote fellowship and a common interest held in all segments of the street rod hobby. Requirements for membership consideration are a love for cars and the hod rod culture along with a willingness to help support the hobby and associated events. The club has an informal structure. There are no formal meetings, no dues, no bylaws or elected officers except for a president who is nominated by general consensus and holds an honorary position. Informal club get-togethers are held during various mid-week show and shine events running from March through October. Members are encouraged to purchase one official club shirt with the insignia of the club. "Old school" club plaques are also available for members to display on their cars. Members tend to be hands-on street rodders who enjoy building, tinkering and driving their cars. The club and its members support numerous car events in the Northern California area during the year which benefit charitable organizations, veterans' organizations and other events which promote the hobby of street rodding. The future of the hobby depends on todays rodders sparking the interest to identify and encourage the next generation of rodders. The Rod and Wheelers club members are committed to handing down their passion and desire that drives our love of the hot rodding hobby to the next generation. For details go to "Getting Involved" page on this web site.